Find yourself an amazing party house with a tennis court for your exclusive use. Tennis courts provide fun for all the family and allow you to create your very own country club for the weekend. You can, of course, choose to play competitively with friends and organise a tennis tournament, or just have a knockabout. 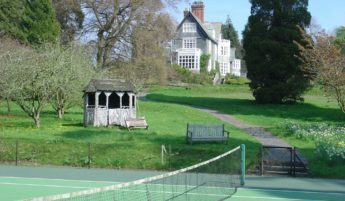 We have plenty of houses to choose from, although particular favourites for tennis are Chaffeymoor Grange (which sleeps 20) and Plas Dinam which sleeps 32.